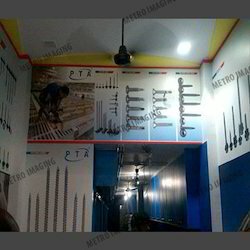 Our range of products include in-shop branding graphics, wall graphics, vinyl graphics, inshop branding prints, store front signs and sign board. With years of experience in this domain, we have carved a niche for ourselves, in offering a wide assortment of Inshop Advertisement. 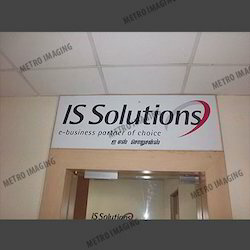 Our advertising service is well known the market for its attention grabbing look. This advertising service is executed by making use of modern technology in adherence with the international quality standards. Our advertising service is performed within a given time frame to customers. 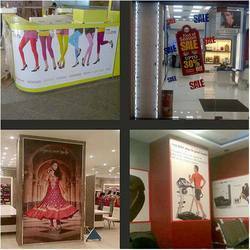 To meet diverse requirements of our prestigious clients, we are engaged in providing an excellent range of Inshop Advertising. Our skilled professionals are enabled to provide best advertising service to our customers as per their variegated demand. Furthermore, our advertising service is completed in a given time frame to customers. Moreover, our professionals use the given resources in the effective manner in order to offer an excellent output. Cut Vinyl Sticker Lettering and Digital Printed Vinyl Graphics for retail store front. 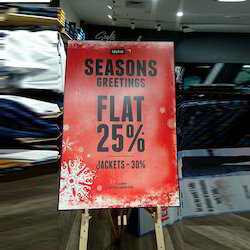 Brand promoting graphics at point of sale. 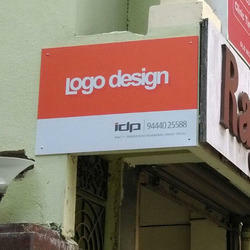 Attractive signs in front of office, showroom - made using quality components. 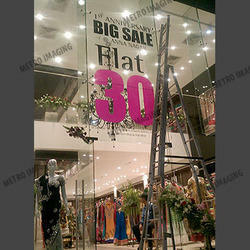 Digital Printed Flex Sign Boards with Backlit and Frontlit Banners. Shop front poster with easel. Looking for In shop Advertising ?